Are you also a fan of the popular Thai Tom Yum cuisine? I love slurping a bowl of spicy and sour Tom Yum Kung as it kinda opens up my appetite for a good meal. 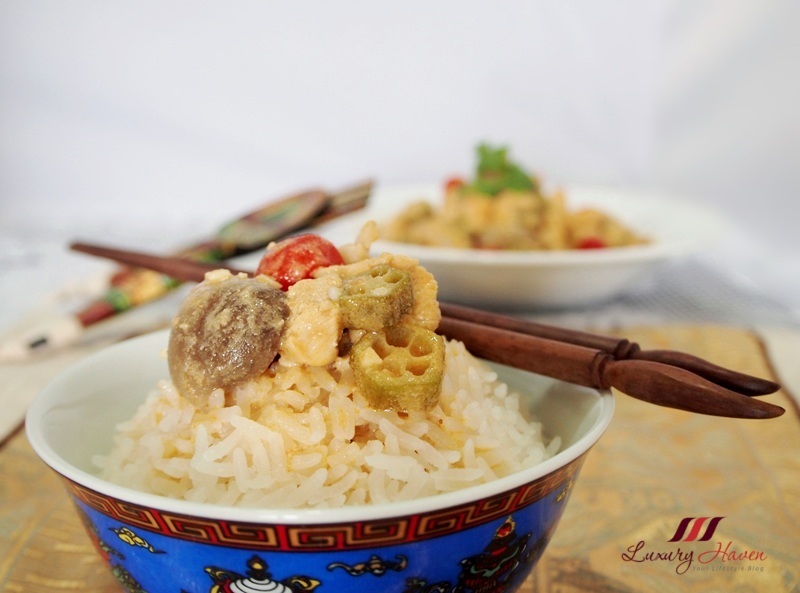 For a quick fix at home, I would use the tom yum paste for cooking Tom Yum Fried Rice or Tom Yum Soup, but this time I decided to whip up a Mouth-watering Stir-Fried Tom Yum Chicken ( 泰式冬阴鸡丁 ) filled with Straw Mushrooms, Ladies Fingers and Baby Tomatoes. 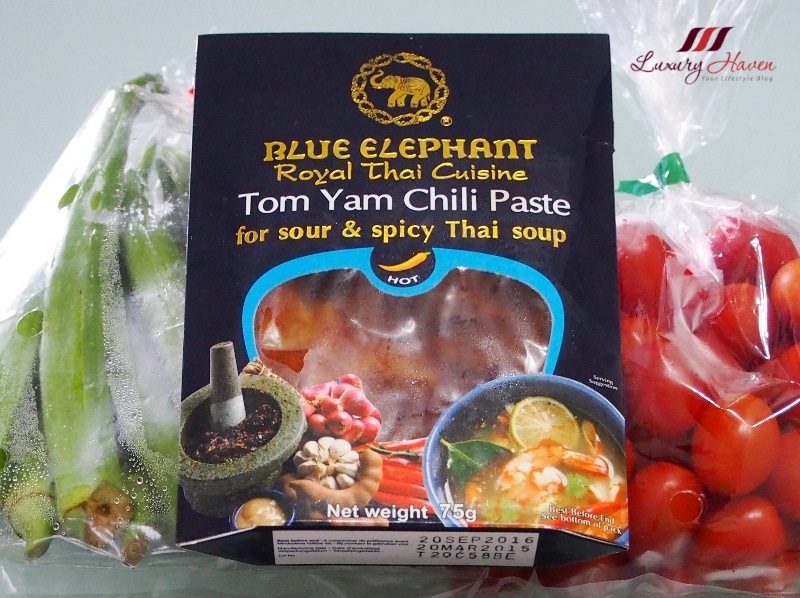 I bought a packet of Blue Elephant Tom Yam Chili Paste to try, but little did I know that Blue Elephant Royal Thai Cuisine is actually a famous Thai restaurant and cooking school in Thailand. It seems that the paste is made from freshly ground spices; no wonder my plate of Stir-Fried Tom Yum Chicken is so delicious! 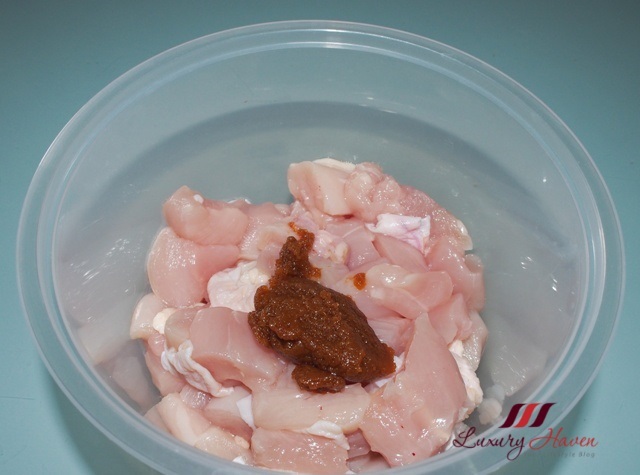 Clean chicken meat and dice into bite-size pieces. Marinate with 1 tsp of tom yum paste for about 15 minutes. Wash and cut up veggies and set aside. Heat oil and sautéed garlic till fragrant. 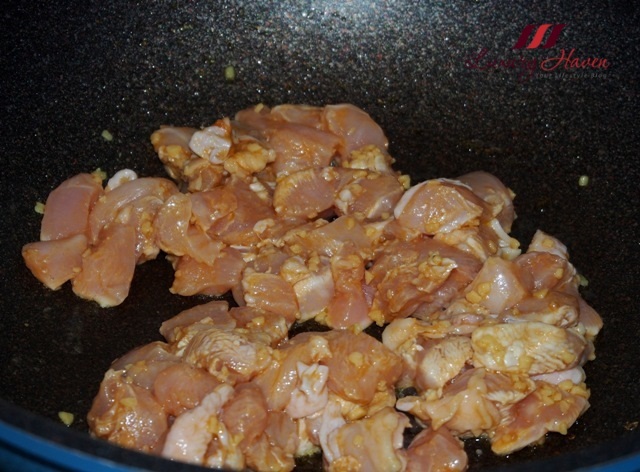 Add chicken and stir fry till half cooked. Add veggies, the rest of tom yum paste and mix well. Add water, then coconut milk. Mix well and cover, and simmer for about 2 - 3 minutes. Remove cover and add salt. 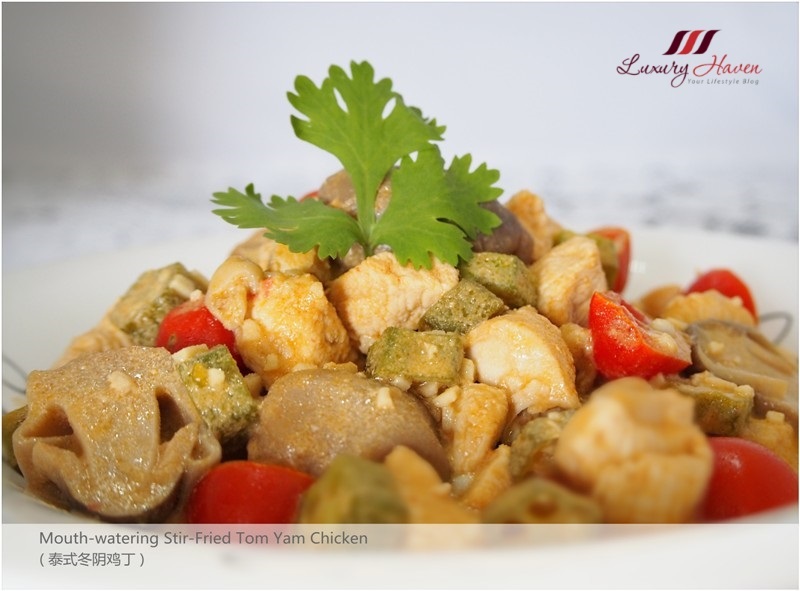 Turn up the heat and cook till sauce reduces and thickens, and you are ready to serve your Mouth-watering Stir-Fried Tom Yum Chicken ( 泰式冬阴鸡丁 )! 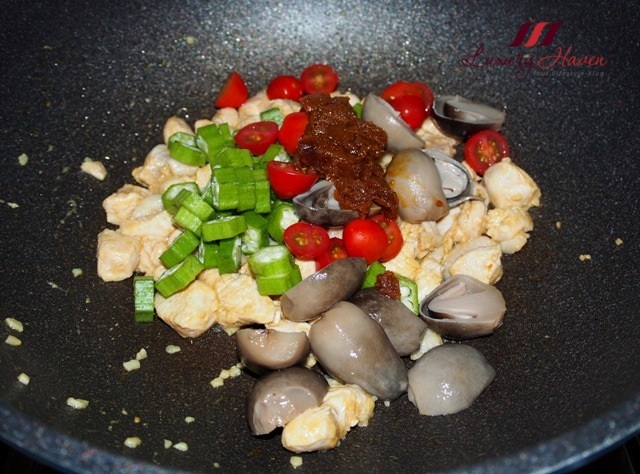 What do you normally cook your tom yum paste with? 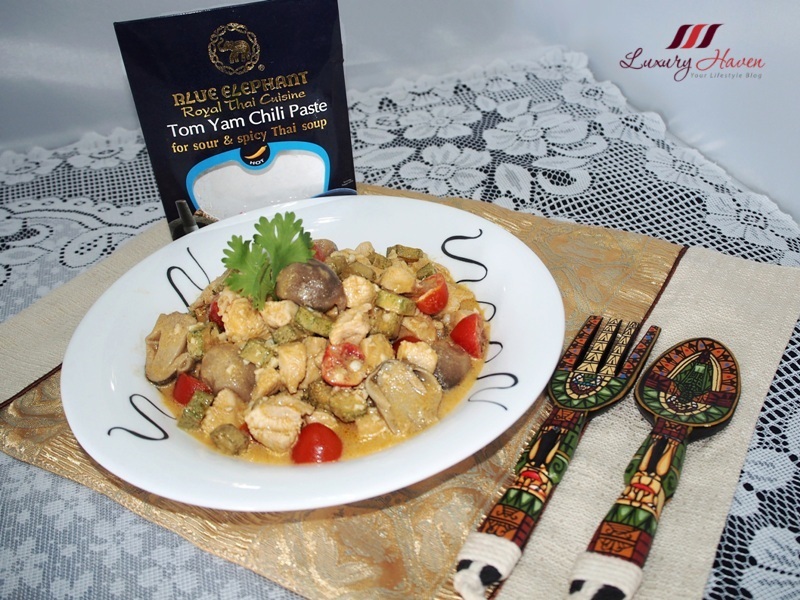 Anyone of you tried the Blue Elephant Royal Thai Cuisine Tom Yam Chili Paste? Never seen this brand around here. Maybe will hunt for it. I love tom yum. Missed the tom yum I had in Thailand 2 years ago. Never tried the brand before. I prefer to use chicken breast meat. Wouldn't the lady fingers cause the dish to be a bit sticky and gooey? Wow! My eyes all lighted up as I love Tom Yum. I know I will have to wait for a while before this packaging appears in our local stores. Just like your CP Brand food, I waited for many months until they are selling in our 7-Elevens now. I knew about this Blue Elephant brand as they have been selling their Thai Bihun in Malaysia since I was a kid. Just the bihun only. My Thai mum always cooked her Thai Laksa with this brand. I will wait for these pastes! Thank you Shirley. I hope they sell this in the state to try it looks amazing how you incorporated into this delicious recipe. 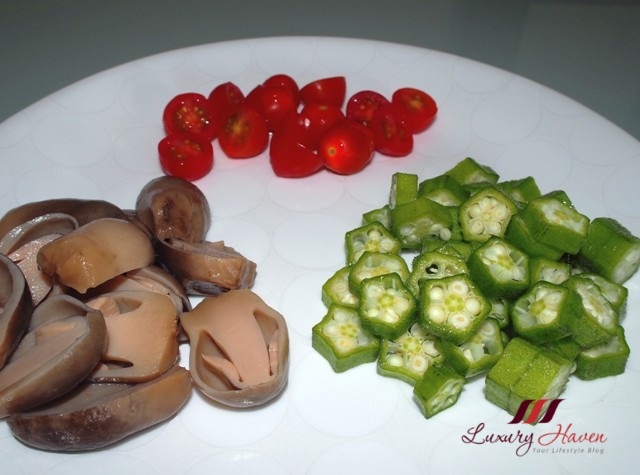 I have never tried chicken with ladies finger, I will try in out soon. Wallalala!! This dish is twisting my hunger pangs right now. Just so good. That looks so good Shirley! I wish we had that paste in the US. Que maravilla de receta ..siempre me sorprendes con ellos. 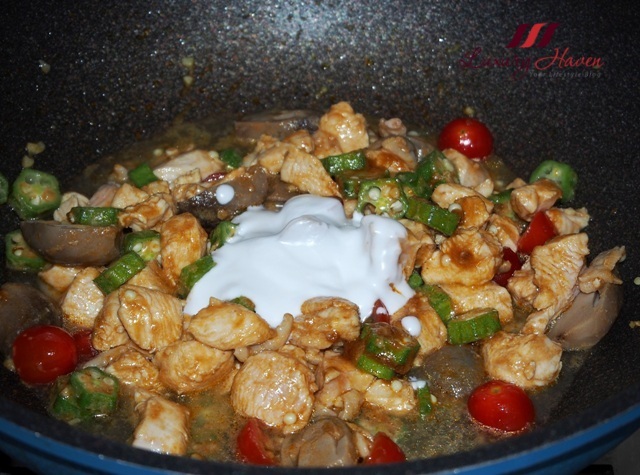 What a delicious way to enjoy chicken! Never tried it but it looks yummy! Will try and subscribe again. It looks delicious, Shirley. Mouthwatering yummy. It's now working fine for me, Shirley. This dish looks very interesting dear! A delicious chicken, Shirley, you're a wonderful cook! This is an ideal meal for me. you always post the most amazing recipes! looks so delicious!! now Im so so so hungry ! That looks delicious! I've never heard of "lady's fingers." Are those some kind of vegetable? Thanks for sharing, Shirley...now I'm hungry; again!!! Looks so appetising, Shirley. 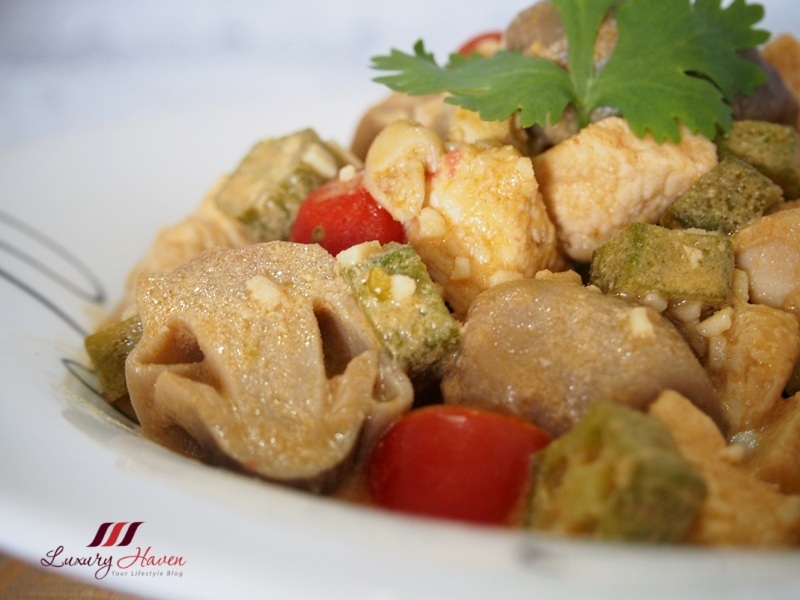 The combination of okra with chicken is something I haven't tried before. And the spoon and fork? So so pretty!! at first I thought this Blue Elephant was a name of a restaurant. but wow, you have transformed to a high level dish! Where can I get the sauce? Hi Chris, you can get it at the local supermarkets such as NTUC. I bought mine at Finest. Have fun!